towels as the finest in the industry. 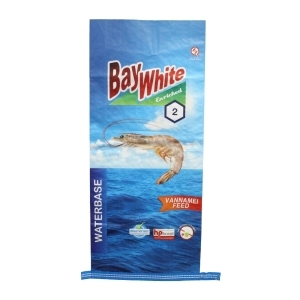 Berg Bag Company is an industry-leading importer and distributor of retail ready and commercial packaging bags. Whether you’re looking for stock bags or unique packaging options, we can provide a wide variety packaging solutions for industries including agriculture, food, construction, retail, and transportation. The Berg Bag product line can now be found at RapidPackaging.com. 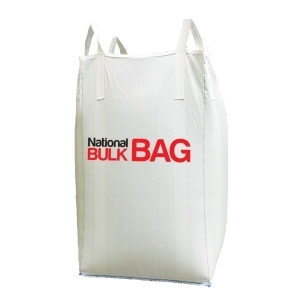 National Bulk Bag, Berg Bag’s online FIBC presence, stocks one of the largest inventories of FIBC bulk bags in the U.S. With 50+ different types of bulk bags in-stock, we are ready to offer same-day shipment to address your immediate needs. If we don’t have what you need in stock, we’ll manufacture custom bulk bags specifically for your product and application. Shop in-stock bags now. 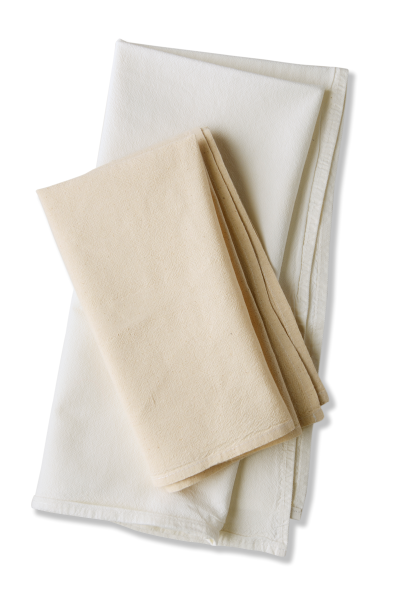 Berg Bag offers wholesale quantities of 100% premium cotton flour sack towels, or tea towels, used for embroidery and appliques, silk screening, screen printing, painting, cooking and baking, bath and kitchen use, DIY crafting, and resale. Wholesale quantities start at just 250 pieces. 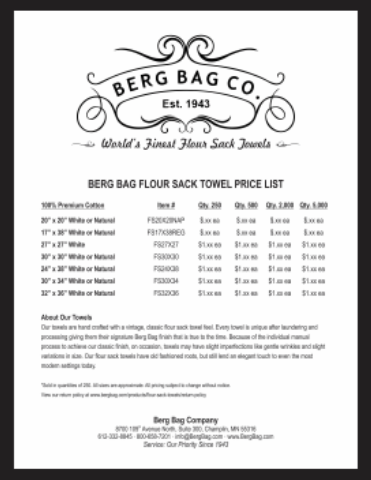 Start your flour sack towel empire here with Berg Bag Company – the World’s Finest Flour Sack Towels! 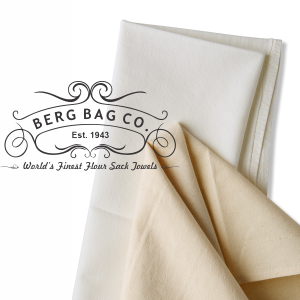 Berg Bag is a wholesale provider of 100% premium cotton flour sack towels used for embroidery and appliques, silk screening, printing and painting, cooking and baking, bath and kitchen use, DIY crafting, and a variety of other fun activities. Minimum towel orders start at just 250 pieces.